As a youngster in Auckland, Brad McGann was fascinated with "outsiders, people who resist being pigeonholed". After six years studying commerce and psychology at Otago, McGann decided not to "go down the safe path". With virtually no filmmaking experience, he was one of eight students chosen for Melbourne's prestigious Swinburne University film course (now Victorian College of the Arts). While there, McGann worked on gritty 30 minute drama A Home Away from Here. When he graduated the industry was going through a down turn and jobs were hard to find. Instead McGann spent "two immensely rewarding years" caring for young cerebral palsy and autism sufferers in Melbourne, learning 'the meaning of empathy". In 1995 McGann and director Emma-Kate Croghan (Love and Other Catastrophes) won funding from Australian network ABC to make Come as You Are, a stylised documentary for the New Voices series. McGann successfully fought to work with inexperienced actors on his next ABC short, It Never Rains. On a return visit to New Zealand, McGann learnt that submissions for a short film funding round were closing in a week, so he turned on his CD player, and got writing. The result was Possum. The film takes a child's eye view of trapper's family living in a rundown, isolated house, focused on how they cope with a seemingly autistic daughter. Selected for 14 international film festivals - including the prestigious Clermont-Ferrand festival - Possum won awards at four, plus a special New Zealand Film and Television gong for Leon Narbey's sepia-toned cinematography. It also won McGann a Hollywood agent. Possum producer Trevor Haysom then proposed they develop an adaptation of Maurice Gee novel In My Father's Den as a Sunday television drama. Although McGann found Gee's book "beautifully written", he was unsure about the era of the story (the 30s to the 60s) and whether a one hour running time could do it justice. 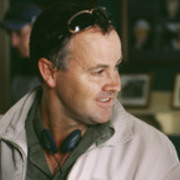 Instead McGann developed other feature projects for the Australian arm of 20th Century Fox, working from a house on the west coast of Auckland. But a dream about two figures in an empty South Island landscape prompted McGann to come at Gee's book from another angle. Over the next three years McGann worked on the Father's Den script on his down time, making changes to era, location and the main character (a photo-journalist returning to his hometown after years away). "What I actually wanted to say," he told Onfilm in 2004, "is tragedy can result from people simply not listening to each other and not being honest with one another, and when the channels [of communication] have broken down, we point blame and therefore run the risk of harming each other." Made for roughly $7 million, In My Father's Den marked the first Kiwi film for cinematographer Stuart Dryburgh since Once Were Warriors in 1994. Reviews tended to the rhapsodic. New Zealand Herald reviewer Peter Calder called it "the most substantial local film since the early 90s". The Australian reviewer found it simply "one of the best films I have ever seen". The day after In My Father's Den took away ten prizes at the New Zealand Screen Awards (including best picture and best director), McGann visited his doctor and learnt that his bowel cancer had returned. McGann had fought the disease twice before, the second time shortly before filming Father's Den. Film industry friends banded together to raise $80,000 for drug treatment, by auctioning film memorabilia. Film Commission chief Ruth Harley argued that "the treatment enabled McGann "to get an extra year of life, and it was quality life." Brad McGann died in May 2007. He was 43.